- FrancesCassandra: UK fashion, beauty and lifestyle blog. 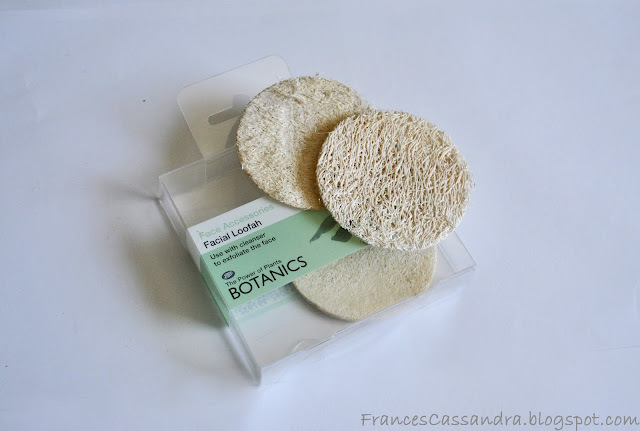 : Review: Boots Botanics Facial Loofahs. I was in need of a new facial exfoliator a couple of weeks ago so I popped in to Boots to see if they had anything on offer. As I was walking up and down the aisles I spotted these Botanics Facial Loofahs. 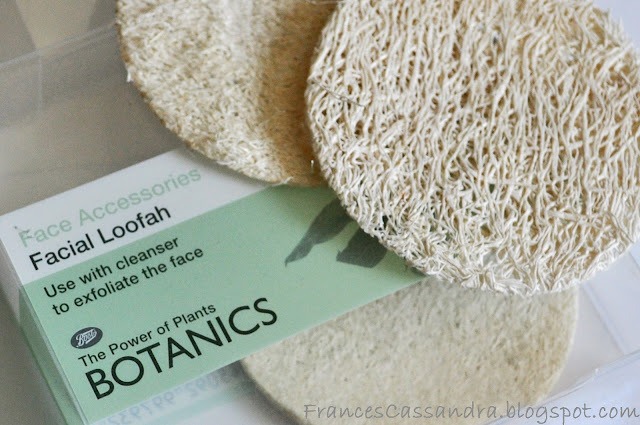 At £2.75 for five facial loofahs I thought I would give them a go to see if they are better value for money than a liquid exfoliator. 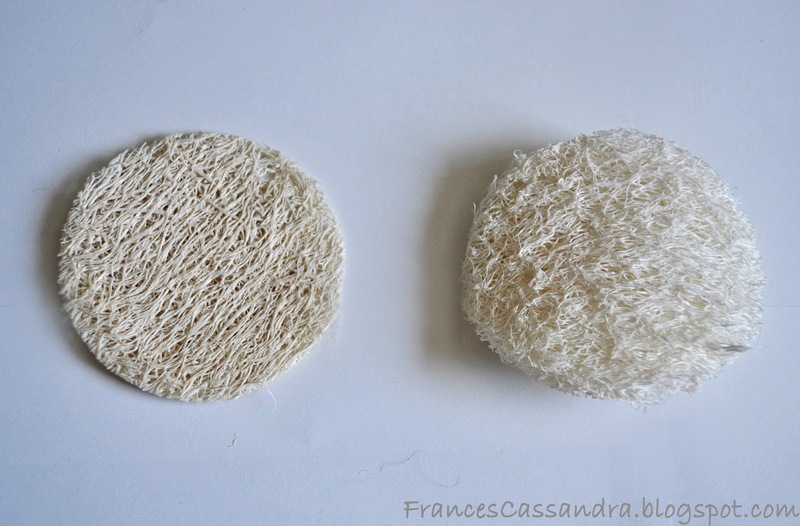 These facial loofahs come as thin pads (about the same size as a cotton wool pad) and are made from dried up plant fibers. To use them, you just run one under warm water and it will soften and expand slightly. I apply a cleanser to my face and then rub the loofah gently over my face to buff some of the cleanser off before rinsing my face properly. When they are not in use, the loofahs dry up and harden again until you next use them. I think it is great that you can use these over and over again and they rinse really well, but I think I will change mine every two weeks to keep it hygenic as I imagine these can become a breeding ground for bacteria. These do feel quite abrasive against the skin and my face definitely feels smoother after I use them, however I think they will be too harsh for more sensitive skin. My skin is fairly sensitive, and I find that the loofahs can irritate the more delicate areas of my face, such as the area around my nose, so I tend to just use my loofah on my cheeks and forehead. I also only use these in the evening when I am taking my make-up off as I think that they are too harsh to use every time I wash my face. I will continue to use these until I run out of them but I don't think I would repurchase them as I prefer liquid exfoliators which aren't too harsh to use around my nose and mouth. If you would like to try these, you can buy them from Boots for £2.75 for a pack of five. I love the salt exfoliators from Sabon, they're really lovely and can be both harsh and gentle depending on how much product you apply. I do like the idea of these, but I would worry about the harshness as well. At least with liquid exfoliators, you are in control of how much you use.